Our courses help small groups of prospective parents learn about pregnancy, birth and parenting in a relaxed, informal setting. Our aim is it to provide sound, comprehensive information that allow expecting parents to make informed choices. Led by experienced and qualified prenatal teachers, they are a wonderful way to gain information and confidence in preparation for birth and early parenthood. 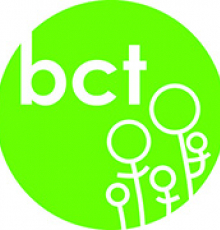 Courses start every two weeks and are a fun way to meet other parents-to-be, build support networks, make lasting friendships and benefit from the many activities for parents and children that the BCT community offers to parents with babies and young children. Couples, single parents, or in whatever company you would like to prepare for the arrival of your baby, everyone is welcome!